A severely malnourished 19-year-old girl died in her mother’s arms after doctors in Venezuela were forced to turn her away because a massive blackout shut down a hospital. Heartbroken mother Elizabeth Díaz was forced to carry her daughter’s body, weighing just 22 pounds, through the streets to a morgue. Díaz visited a local Integral Diagnostic Center [CDI] in the northern city of Valencia on Saturday night but was immediately turned away by doctors because their shift had ended because the facility didn’t have any electricity. The mother was advised to visit another medical center in Las Lomas where she was assured the staff could provide treatment for her daughter’s cerebral palsy and chronic malnourishment. According to Díaz, the young woman was repeatedly convulsing and her condition worsened before she felt her daughter’s body stiffen. Upon arriving at the second hospital, the family was shunned at the entrance because it didn’t have a functional backup power generator. Díaz’s daughter would die in her arms moments later. The heartbroken mother then carried her daughter’s body through the darkened streets to a local morgue. The mother’s dire economical situation hasn’t allowed her to reclaim her daughter’s body for a proper burial service. 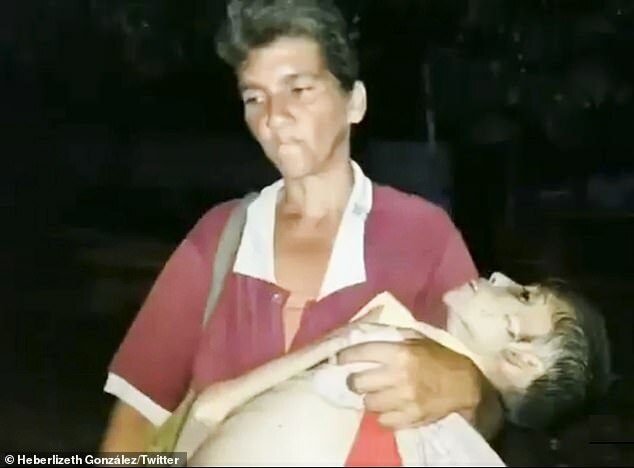 The images of the 19-year-old’s sudden death have gone viral, and it has turned into perhaps one of the lowest points in the ongoing saga that has pitted the Nicolás Maduro regime against a nation that has been pleading for basic necessities like food, water and medicine. 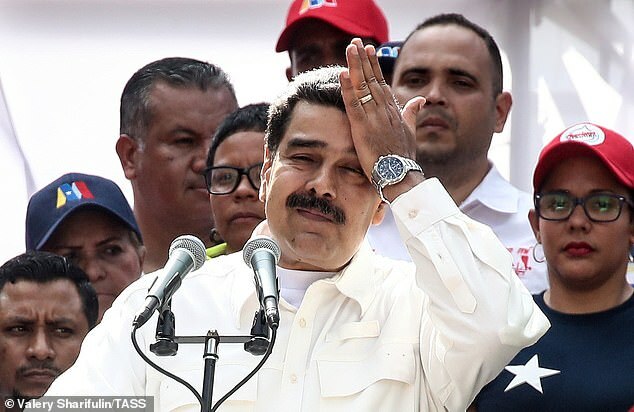 Maduro went as far as casting blame on the United States, accusing it of sabotaging the Guri hydroelectric dam in the southeastern state of Bolivar. It’s responsible for generating over 60 percent of the nation’s electricity. The ongoing crisis in Venezuela, which has dealt a severe blow to its healthcare system, has led to an exodus of more than 3 million Venezuelans, most of whom have fled to neighboring South American countries. Maduro on Sunday tweeted that he had taken steps to ensure the distribution of basic necessities, including food and water, to hospitals and other places. In the capital city of Caracas, firefighters were spotted helping residents fill containers with water drawn out from a nearby river as the electrical outage has prevented people from receiving drinking waters at their homes. Maduro also posted a video that showed him with a two-way radio, purportedly talking to military commanders and governors. The embattled socialist leader said the “macabre strategy” to make Venezuelans desperate and turn them against each other would fail. Lines at fuel stations extended for blocks as drivers queued for gasoline and buses waited to fill up with diesel. State oil company PDVSA said on Sunday that fuel supplies were guaranteed. But only around 100 of the country’s 1,800 service stations were operating due to the blackout, according to gas station industry sources. 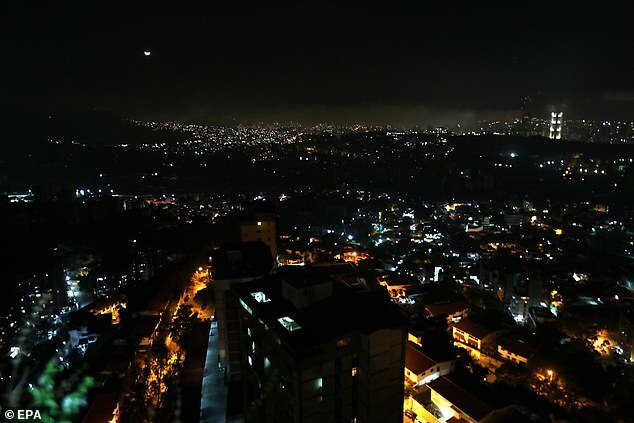 An explosion at an electrical substation in Caracas shortly before midnight on Sunday left 10 neighborhoods in the dark. The outage left the South American nation without electricity for four days although some of the country’s 23 states had sporadic electricity Sunday. 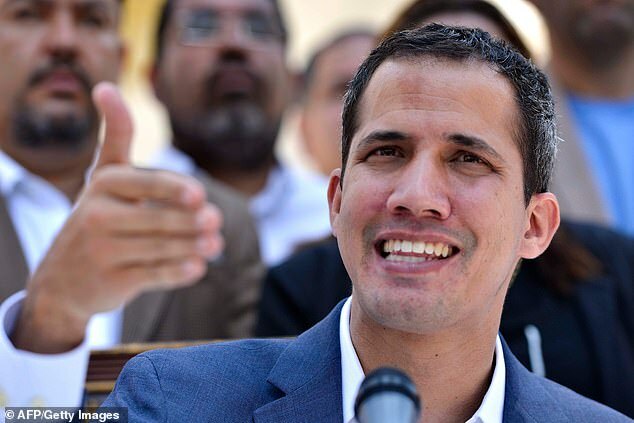 However, it wasn’t sufficient enough to avoid the deaths of 17 patients – 15 of them in the city of Maturin – which were confirmed by interim president Juan Guaidó.